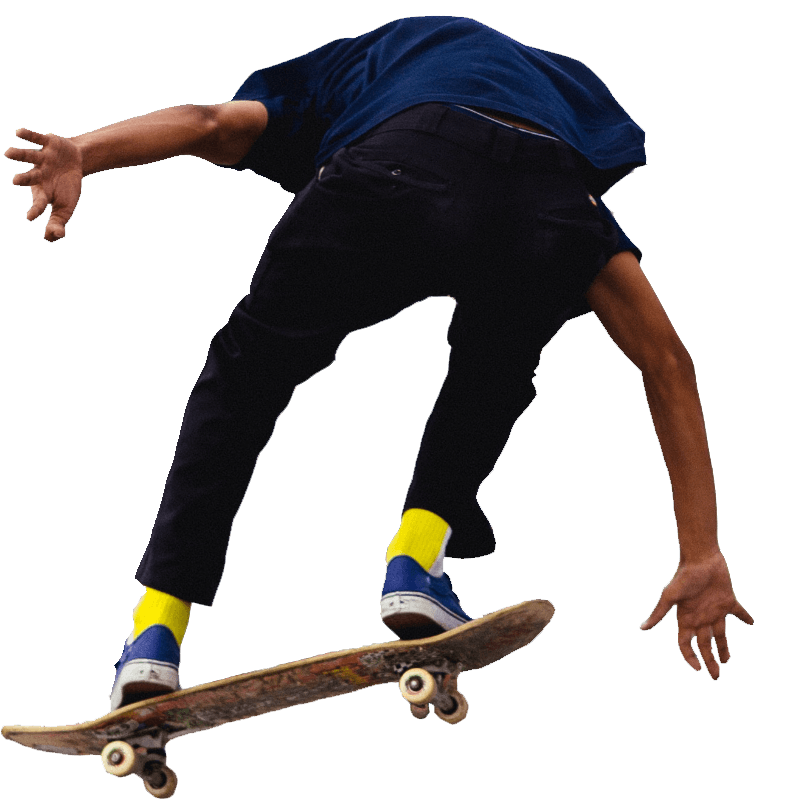 One of the best free runners in the world, in combo with tricking and trialbike. 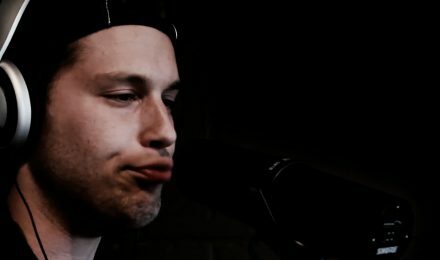 This beatboxer we can combine with any show we have! Super cool! 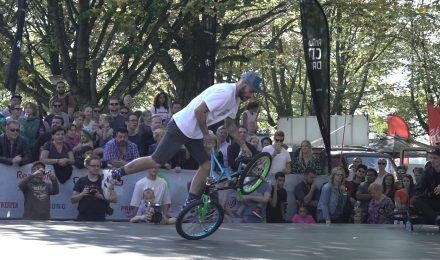 Two amazing talents together in one Freestyle soccer and BMX Flatland act. Rhythmic gymnastics act performed in combination with a mirrorball. 1001 nights show with, art acrobatics, bmx, trialbike and acrogymnastics. Crazy slackline act in the snow in combo with freestyle ski jumps. 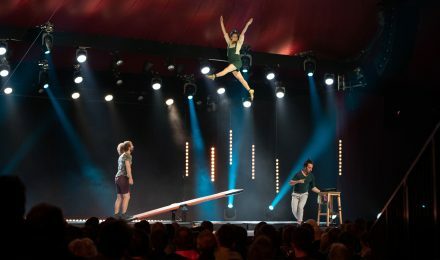 Ping pong ball tricks and high flips at the bascule, what a creative combination! Spectacular dance crew with a genious mirror outfit. 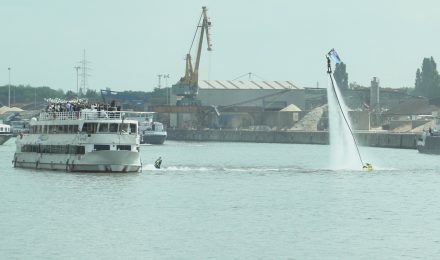 For Proximus we created a flyboard and jetski act to launch “make it epic”. 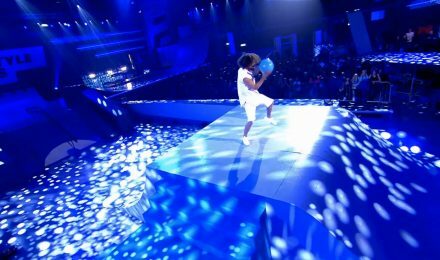 A brilliant freerunning and tricking choreographed stage show. 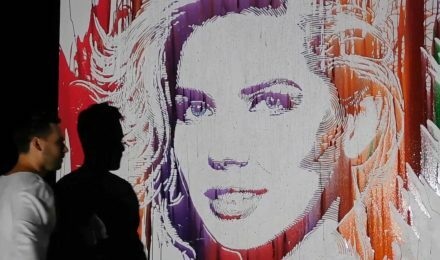 ‘Girl Power’combined with the lastest LED technology. 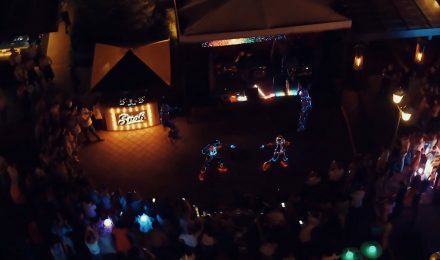 Unique BMX act with LED effect, just watch and enjoy! Who said a manager can’t dance? 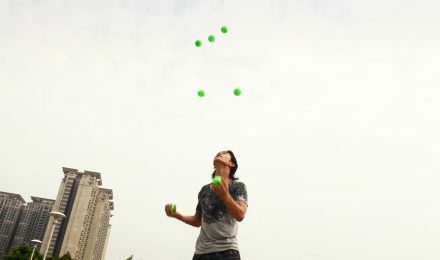 Footjuggling is one of the most advanced juggling styles, she makes it to look cool and easy. A cool yoyo act in the Microsoft office. 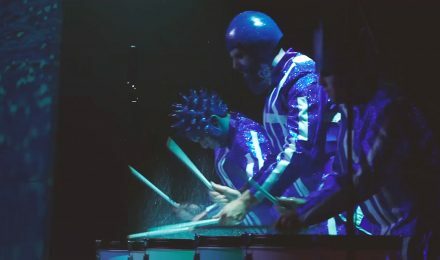 An energetic drum show with special water light effects in combination with dance. 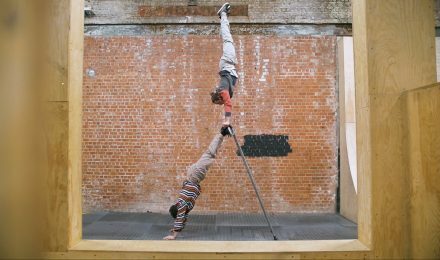 Freerunning, gymnastics, saxophone and clarinet, all combined in a crazy ladder act. 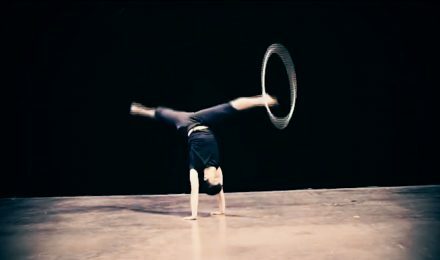 Amazing timing, choreography, acrobacy and hula hoop skills all combined in one act. 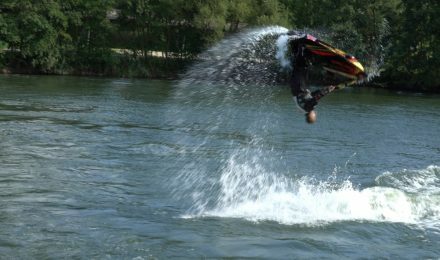 Airshows, choreographed stunts, smoke effects, basejumps and extreme air cameraworks. 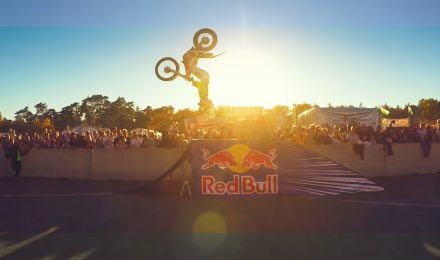 Motor trial, jumps and some cool stunts all in one show! 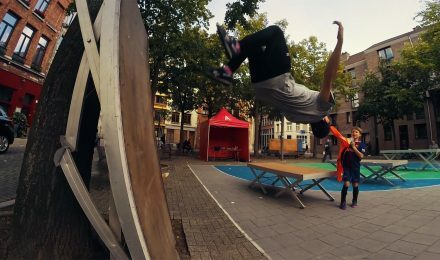 A magical acrobatic duo that is combining skating and straps to fly in the air. 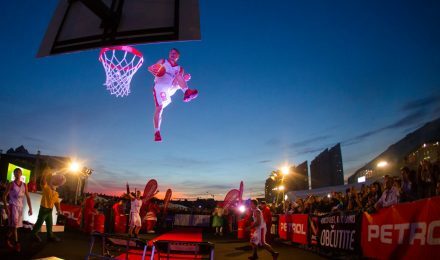 Hightech acrobatic dunks, simply amazing! Dunks over a car and at a driving train, no challenge is too big for this team. Dance and body drumming in funky way, our crew is taking it to the next level! 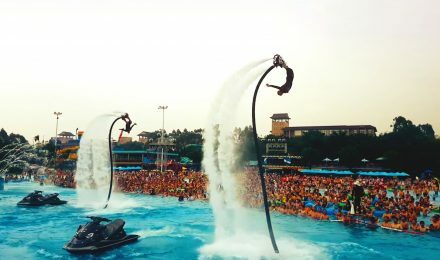 Amazing choreographed duo show on flyboards, it can be performed even in a pool! 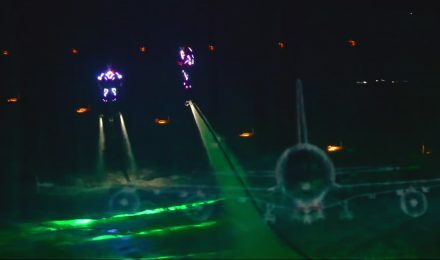 A high-end light show on flyboards with special laser effects. 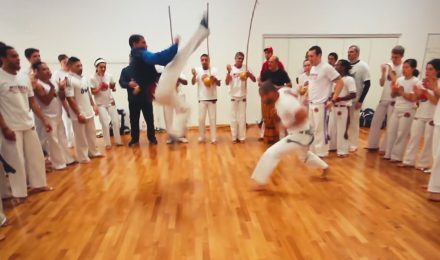 High level capoeira atlethes ready to perform. 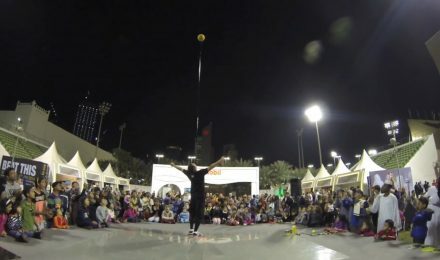 This boy can jump rope on his hands and does the most advanced tricks! How many beer names do you count? 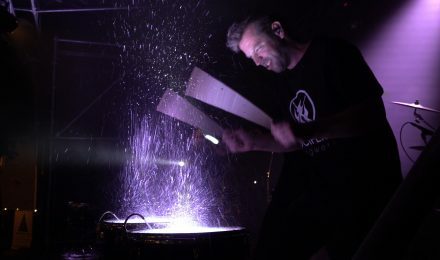 The best concert you have ever seen with bottles as main instrument! 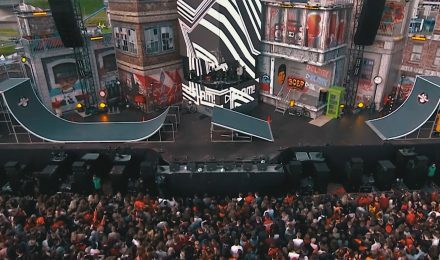 The most spectacular basketball show on earth: high flips and crazy dunks! Funny trampoline streetshow with extreme flips and acrobatics. It’s showtime! 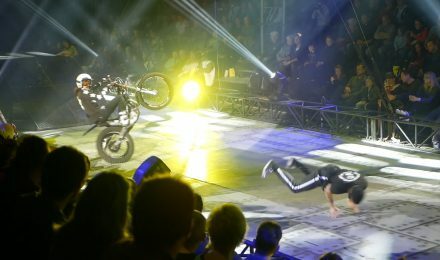 Freestyle moto and breakdance mixed in one choreography. A perfect mix of elegance, baketball skills, dance and romance combined in an amazing choreography. Projections, speed and real paint combined in a fascination revealing act. 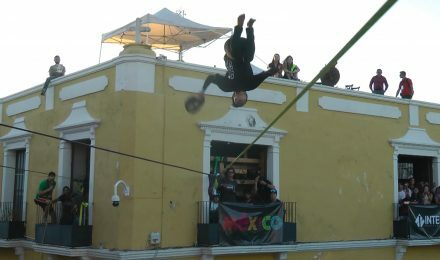 Spectacular slackline show high above the street. 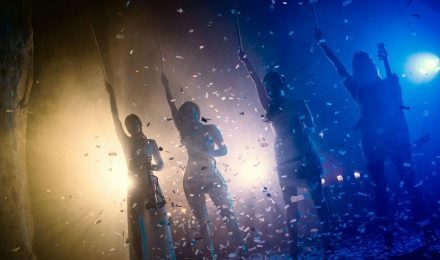 A uniquely strong combination of music, contemporary fashion and sophisticated entertainment. 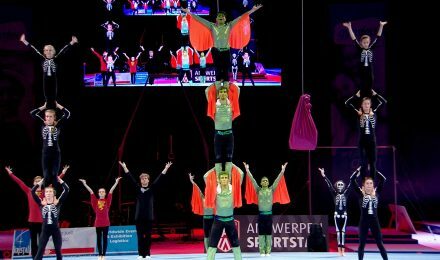 The national belgian acro teamshow in the theme “game of thrones”. Total show involving the caterpillar trucks and cranes. 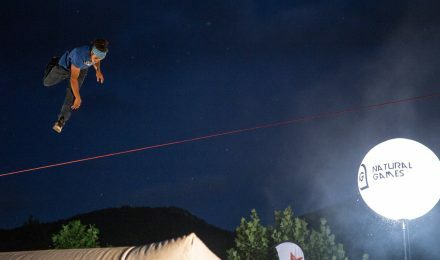 Two of the worlds best slackline athletes performing their skills together. 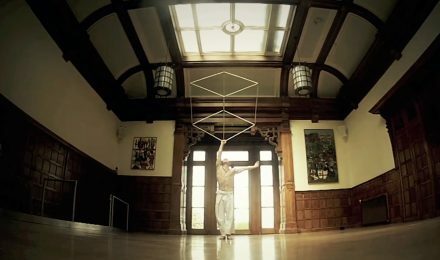 Amazing ball control choreographed on music. A very unique and entertaining golf act! 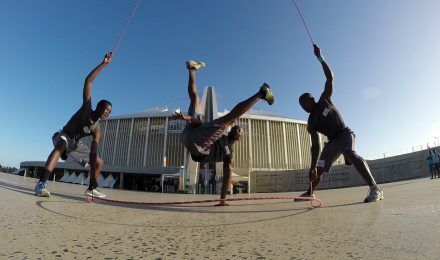 Beautiful double dutch skills in front of the Moses Mabhida Stadium in Durban. A short portfolio of some high-end productions our dancers did. 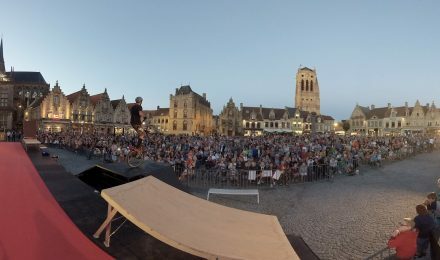 A great stage act with two excellent bmx artists. Basketball skills performed at classical live music. 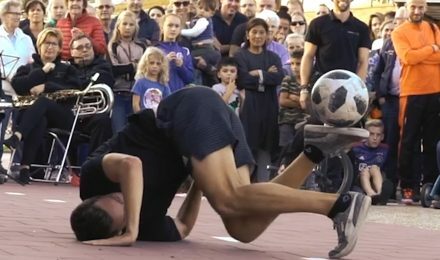 Footbag is juggling with a small bag or ball and this performer takes it to the next level. 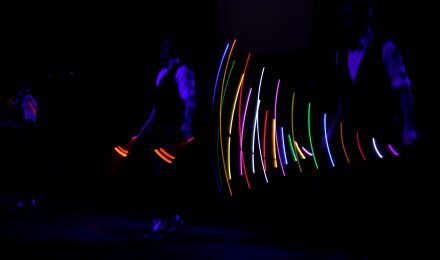 Most amazing duo footbag juggling LED show! The worlds best female jump rope and freestyle soccer performer combined in one act. 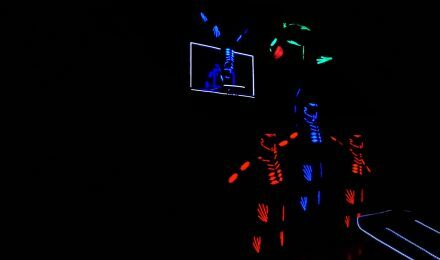 Led show, customized and choreographed on the music! Flamenco and fashion creatively combined in a routine. A golden buzzer dance choreography! 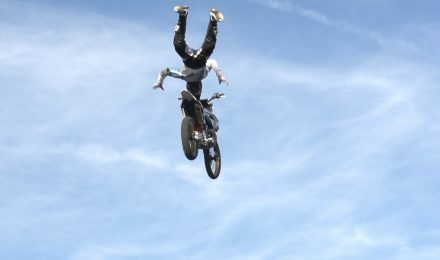 Boost your event with spectacular motorbike jumps! 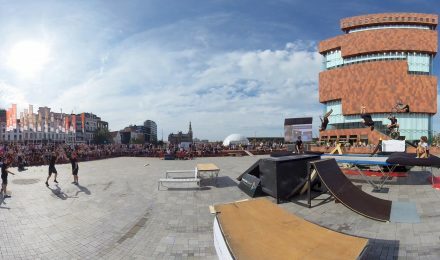 The best bmx trickers from Europe, ready to perform at your event. Fresh, dynamic, fun and so entertaining! Beng has an amazing show! An interactive show with small and big tennis balls. Some artists can perform in any production; he can do it all. 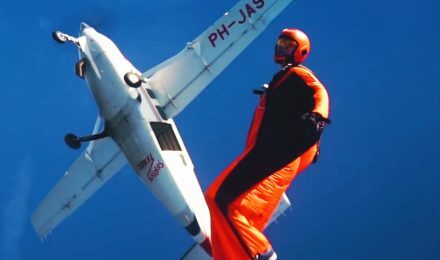 Flexibility, coordination, strength and emotion, high in the sky performed on straps. 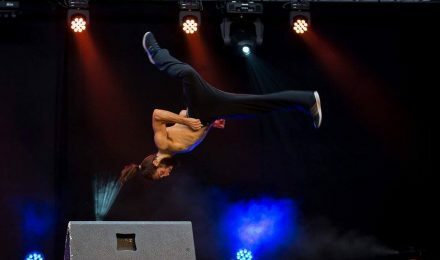 There is no age limit that can stop you to breakdance and to bring a great show! Those guys can do anything with a signboard to promote your business. Reveal your logo in an unique way. A nice example how to promote your brand with flatland bmx. Double dutch woman acting as stewardess. Rope skipping performers doing their show in Corsica. An amazing jump rope advert to promote water. 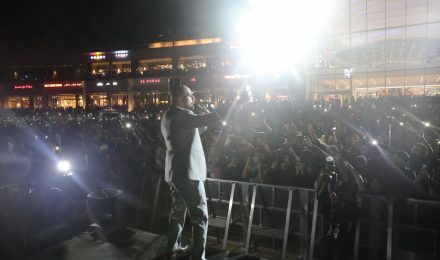 42.000 people came together to celebrate, guided by our favorite MC in the Middle East. 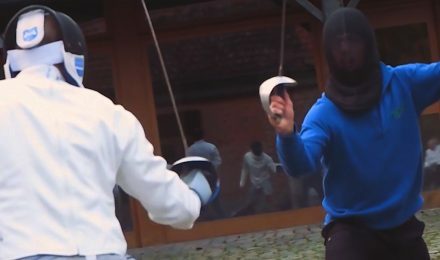 Learn and enjoy one of the most crazy sports! 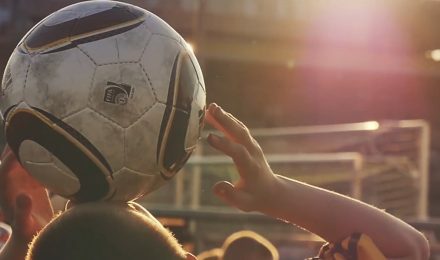 Learn all about freestyle soccer from a professional!